FlyStrong is for anyone who wants to learn how to handstand or who wants to advance their handstand and arm balance practice beyond whatever you thought you were capable of! This series lays the vital groundwork for the most successful and solid handstand and arm balance practice you can imagine. I will take you through everything from wrist health, understanding body alignment and strength, knowing how to fall, and harnessing your balance and control. You will learn how to use your hands as an effective balance and breaking system by recruiting forearm strength. You will master the basics of strength recruitment, straight arm scapular strength and core stability to make your handstands and arm balances feel lighter in your body. If you are new to handstands or are fearful of going upside down, I provide you with the tools to help overcome that fear by building your knowledge and confidence to get you to your first unsupported handstand. If you are comfortable with inversions, the knowledge you’ll gain from this program will take your skills to the level that you’ve been struggling to achieve. 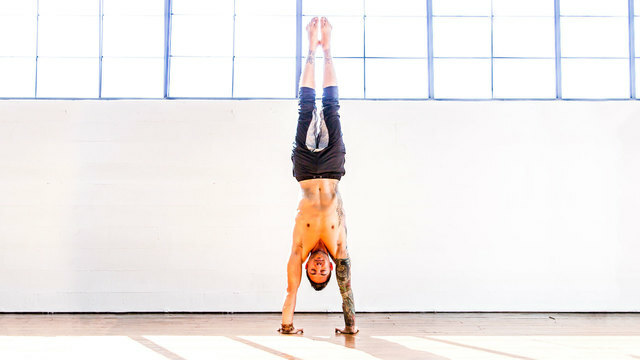 I will share the best handstand and arm balance secrets to help you develop your inverted body awareness so that you will be able to hold a freestanding handstand with your head down and eyes closed, where you can begin to find meditation in your handstand at the same time rapidly increasing your proprioception and balance. This is a preview of Dylan's "Strength Basics". Congratulations on committing to begin your handstand journey! Let's take a few minutes to go over what to expect over the next 30 days. In this class you’ll learn about straight-arm scapular strength, muscle engagement, core engagement, body alignment and more! Handstands are all about finding a peace and balance between your body and mind. Today we’ll talk about balance so you can take your understanding of this topic to the air. Today we’ll dive into our journey of balance with forearm stand! Understanding balance in a handstand requires hours of practice. This video will set you up with everything you need to begin that practice. As we continue to build our understanding of balance, this video is about finding it through a little bit of movement. This video will show you how to create shapes in your arm balances and how to engage and recruit the necessary muscles for a solid arm balance practice. As we begin to understand arm balances and their foundation, we’re able to play with them more. This video is applying those basic skills to other types of arm balances. Here we go - today we revisit Forearm Stand. As you go through the movements again, make note of any improvements in your shoulder mobility and strength! So much of having an advanced practice is to understand these foundational arm balance skills and build these skills from the base. You’ve made it! Test Day 1! Today is time to test your skills! This is a way to see where you are in the program. Keep up the great work! Shoulder strength is super important in achieving a Forearm Stand and will translate to a successful handstand and arm balance practice. Absorbing the theory in these classes really comes from repetition in your practice. The more you practice, the more your body will react and respond. We’re well on our way into our third week of this series! You are doing an amazing job – keep it up! Welcome back after your final rest day! How has your shoulder mobility improved since Day 1 of this series? You are doing an incredible job! We only have a few days left so be proud of how much progress you’ve made to this point! 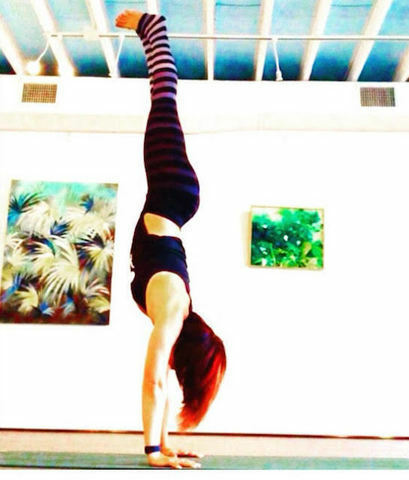 Let’s take one more day to focus on applying our arm balance skills to other inversions! 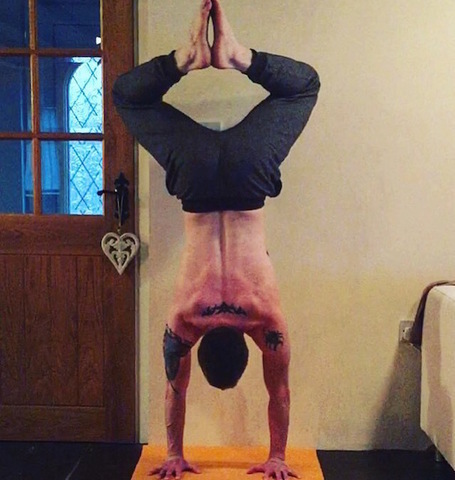 Have you made any connections between these arm balances? Our last day of class! You should be truly proud of everything you've accomplished over the past 30 days! FlyStrong is a challenging series that has not only brought more strength to my arm balances and inversions, but also more confidence. Dylan says it takes hours of practice for seconds of success, and while that’s true, when you feel yourself find the balance and strength to fly strong it is worth the long journey to get there. I have learned a lot and come a long way in this series. I still have a long way to go, but I am very excited about my progress with Dylan as my guide. Yoga is an art and I enjoy learning how to be more masterful in it. I love this program. The systematic approach shows how anyone can find a solid, controlled handstand and how it can be successfully incorporated into your every day practice. The way the program is structured allows you to easily see your progress, which is very motivating. Above all, FlyStrong will help you understand how handstands can become a meditative part of your practice, rather than the usual struggle to find and maintain balance! 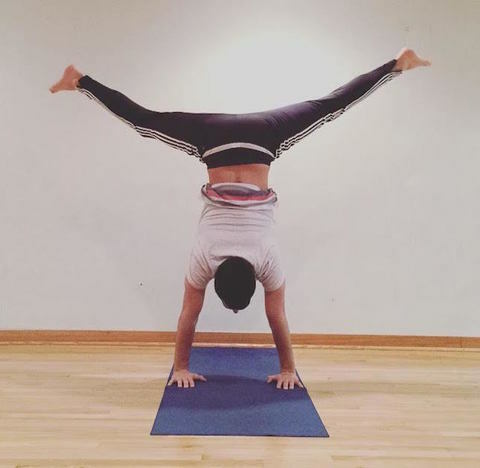 Prior to FlyStrong, I was getting incredibly frustrated by handstands and inversions because I didn’t know the proper method, but thanks to Dylan’s FlyStrong series I’m able to hold handstands much longer than ever before. I’ve also developed the strength to transition into different shapes while in handstand, which was something I always thought would be far too advanced for me.